Where can I find more information about Citrix’s recertification policy? We have a page dedicated to more information about Citrix’s recertification policy. If you still have questions, please contact us! Does the Recertification Program apply to students whose certification has expired? Unfortunately, the recertification program only applies to students whose certification is expiring, not expired. However, if you have an expired CCE-V certification, you can renew your certification by taking CXD-410 until July 30. Please contact us here for more information about this limited time offer. Does Layer8 accept Citrix Vouchers? Yes! We do accept Citrix vouchers. Please contact info@layer8training.com for more information on how to apply your Citrix voucher on a Layer8 Training class. If I have a Citrix Voucher, do Layer8 promotions apply to me? Unfortunately, if you have a Citrix voucher, our special promotions will not apply to you. Our promotions only apply if you purchase directly through our website. Where can I find Layer8’s current promotions? You can find our current promotions on our promotions page. GTR is a commonly used acronym in the technology training industry. GTR means Guaranteed-to-Run, which ensures that the class you have chosen will run as scheduled. If you enroll in a class that is not Guaranteed-to-Run, your class may not run. If you have more questions about whether or not a class is Guaranteed-to-Run or not, please contact us at info@layer8training.com. How do I know whether a class will run as scheduled? If your class is marked as Guaranteed-to-Run, your class is guaranteed to run as scheduled. If it is not, it may not run, dependent on class enrollment. Find our list of Guaranteed-to-Run classes here. What types of payment does Layer8 accept? We take credit cards over the phone and online, but we also accept POs and invoices. Please contact us at info@layer8training.com for more information on how to pay! I’m having trouble checking out. What can I do? If you are having trouble, please contact us by phone at 888-504-8872.
Who do I contact if I’d like to purchase over the phone or ask more questions concerning training? Please call us at 888-504-8872 and ask for one of our Training Advisors! They will be able to answer your questions and take payment over the phone if you decide on a class. How do I know that I’ve been enrolled in a class? Once we have received confirmation that you’d like to enroll in a class, we will send you an email with the details of your class (Date, Time, Type of Class). Please note the details of the email, including what you need to do prior to starting your class. Where do I locate class hours and information? You can find class hours and information in a couple of places. Once you have enrolled in a class, we will send you a confirmation email that will list class hours and information. You can also find class hours on our website if you search for your class. When will I receive login information for my class? You will receive login information the week prior to your class. Unfortunately, sometimes these emails get sent to junk mail, so if you are unable to find your login information email, check in your junk mail before contacting Layer8 Training. If you are still unable to find it, please call or email us and we can help you get ready for class! How do I access my materials and labs for my class? All materials and labs are accessed through your Citrix Training account. For our Citrix classes, you need to have a Citrix account prior to taking the class as this will be the location for all materials you need. What do I do if I am unable to attend my class? If you cancel or reschedule less than 2 weeks in advance, you will be charged in full for the training and will have 6 months to reschedule and attend training. You may also send a substitute student in your place if you are unable to attend or no longer need training. Am I able to reschedule? Yes! Please contact us a minimum of 2 weeks before your class is scheduled to start to reschedule without penalties. What is Layer8’s cancellation policy? If you cancel 2 weeks prior to the class, you will be refunded your entire amount. If you cancel less than 2 weeks before class, you will be charged in full for the training. Do you offer custom training packages? Yes! If your company needs custom training or training for multiple students, please contact us at info@layer8training.com. We would love to help you find a solution! Who do I contact if I am having trouble accessing labs? 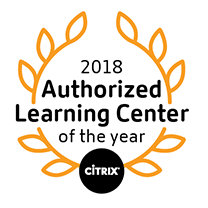 If you are having trouble accessing labs, please submit a “Classroom Support” ticket on Training.Citrix.Com and then contact us for assistance. What if I can’t find my login information? Our login information is sent through email the week prior to your class. If you are unable to find this email, please check your junk email. If you still are unable to find your login information email, please contact us at info@layer8training.com. How do I share feedback on my class? We love when our students share their feedback on a class! If you’d like to email us, please contact us at info@layer8training.com, or submit a form on our website. We also accept reviews on our Facebook page.